Today, an increasing amount of operations are made as keyhole surgery. 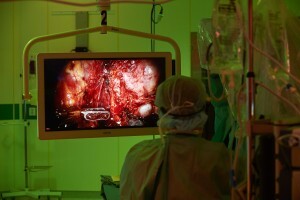 The method is gentle for the patient but can be very exhausting for the surgeons, because it means long hours with eyes focused on small details on monitors. 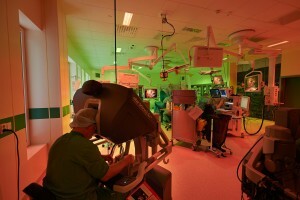 To improve the conditions for patients, nurses and surgeons all 25 new operation rooms have Ergonomic Lighting. It is a lighting concept that combines the colors green and red and dives the room in different lighting zones depending on the tasks. The result from Karlstad is less strain on the eyes, less fatigue and improved quality. ”The combination of the complementary colors red and green improve the image quality on the monitor and create a balanced and good light in the whole room. By installing it in all operating rooms of the new building, we ensure that it is being used during all operations”, says Tobias Kjellberg. The staff at the hospital are very satisfied with Ergonomic Lighting. ”The light is very pleasant to work in, and I have no reflections on the monitors. 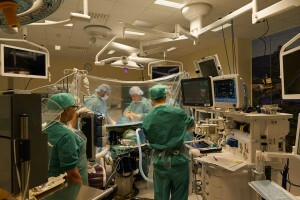 When we move around during surgery, all we do is to change the light setting and the light follows. 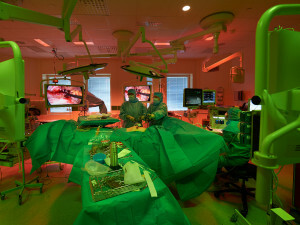 It’s great,” explains Chief Physician Marina Sorensson, from the Central Hospital in Karlstad. 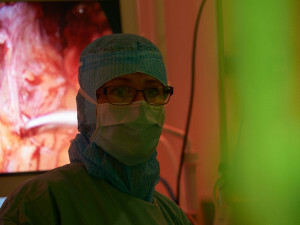 She operates in Ergonomic Lighting during both laparoscopic, robot and open surgery. 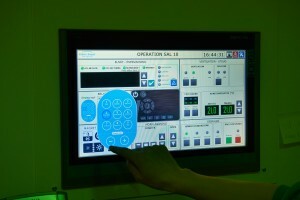 Every operations room has nine preprogrammed light settings. 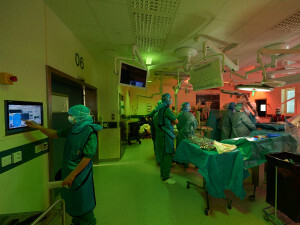 The settings are customized each room to fit the different tasks – both before, during and after procedure. ”At the Central Hospital we have analyzed every single room looking at the different procedures, the users’ needs which we have combined with our knowledge on light and experience from other hospitals. We adjust colors and intensity according to the conditions in the room, how the placement of the monitors and different work zones. 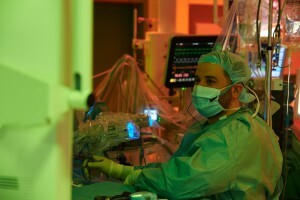 We focus on making the operation user-friendly, so it is easy to change the light during the complex surgeries. We also have a thorough process for user implementation and staff training,” explains Director in Chromaviso, Claus Puggaard. 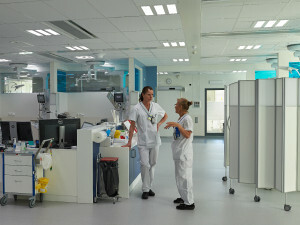 Chromaviso is specialized in lighting for the healthcare sector. When the operation is completed the patient is moved to recovery and intensive care. Here is a circadian lighting that changes automatically – as the natural light. It rises as the sun, is strongest in the middle of the day and a night a specially designed night light without the blue colors begins. There is 28.000 square meters with Ergonomic Lighting and Ergonomic Circadian Lighting.